What makes a Master Levels map? I've been recently playing the Master Levels section of the PSX Final Doom, and I have to say I really enjoy the atmosphere. I'm going to shoot for making a map or two in that style, but what do you think creates the Master Levels atmosphere? 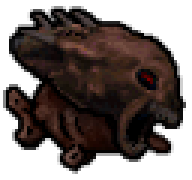 BTW: Does anyone know where the PSX Final Doom music can be downloaded for use with my maps? I'm going to shoot for making a map or two in that style, but what do you think creates the Master Levels atmosphere? You mean the "infinite sky" thing or the special starry sky? If so, I don't know where to get the starry sky. I don't know where to get the starry sky. *feeling like a fool* But Id also like to know this. By association, you're implying I'm a dope. I'm not claiming the opposite, but still. Eh, whatever. Not quite mate, Ive been creating levels for a few years now, I SHOULD know this. But alas I dont. well, people can always make their own starry skies, or perhaps just use the one from Doom64, since that one is the closest thing to the one seen in Master levels. Aren't most of the master levels ungodly difficult? Or am I just a rank novice? No, they're just that hard. And mostly very large.